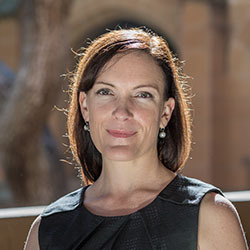 Dr Tessa Boyd-Caine, Tuesday, 5th September 2017 - Health justice partnerships (HJPs) are demonstrating the difference that services working in partnership can make for the communities who need them, writes Dr Tessa Boyd-Caine, CEO of Health Justice Australia, as the national centre for HJPs celebrates its first anniversary. Dr Tessa Boyd-Caine, Tuesday, 20th December 2016 - As a society Australia has much to lose from any future failure of the national census, writes Dr Tessa Boyd-Caine, CEO of Health Justice Australia. Dr Tessa Boyd-Caine, Tuesday, 19th July 2016 - Charitable and philanthropic organisations have a chance to lead their own “transparency and accountability” agenda – before it overtakes them, argues Dr Tessa Boyd-Caine who undertook the inaugural Fulbright Professional Scholarship in Non-profit Leadership in 2014.